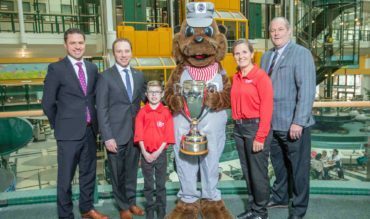 (REGINA) – When the CP Women’s Open takes to the links in Regina in August, Jim Pattison Children’s Hospital Foundation will be the official beneficiary of the seven day tournament. 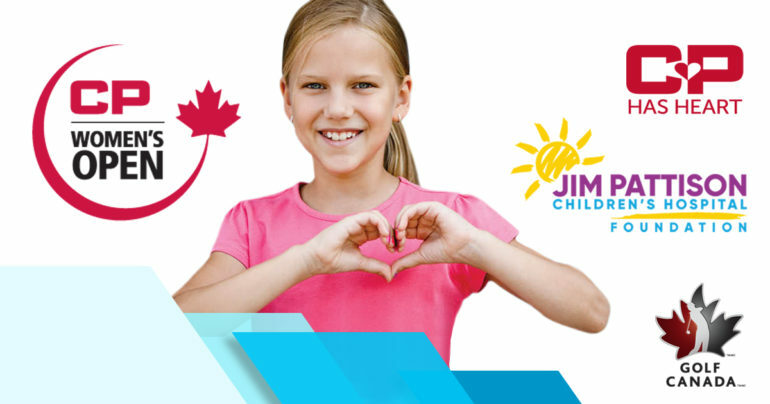 Through its CP Has Heart campaign, Canadian Pacific (CP) will once again make a substantial donation to the host community by supporting pediatric cardiology at the new Jim Pattison Children’s Hospital, which is currently under construction and scheduled to open in 2019. Funds raised through the CP Women’s Open will support a dedicated pediatric cardiology space and specialized equipment in the Pediatric Outpatients Clinic at the new Jim Pattison Children’s Hospital. With a nature theme running throughout the hospital, the “Frog Pod” will be specifically used to treat pediatric cardiology patients and will include three echocardiography exam rooms, a pulmonary function technology lab, an exercise challenge room, and a regular exam room. Directly across the hall, included in the pod, is a staff echocardiology reading room. The Pediatric Outpatients Clinic, which will see children for general pediatrics, cardiology, oncology, speech and language, hearing, and psychiatry, will offer three times more exam rooms than are available today. An anticipated 40,000 young patients will use this area of the hospital every year.